From left to right are Allen Hoskins (Farina), Joe Frank Cobb, Jackie Condon, Mickey Daniels, Johnnie Downs and Mary Korman. 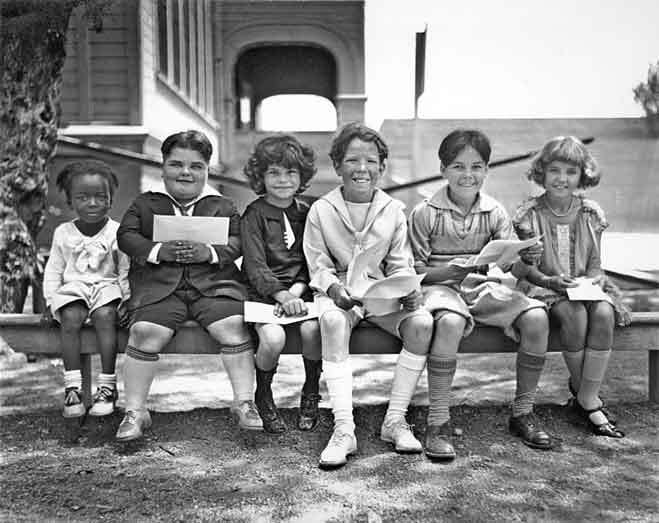 Members of the ensemble of child actors to star in Hal Roach’s Our Gang series of comedy shorts hold their contracts. Assembled more for their physical characteristics than their acting experience, the changing groups of little performers and their mischievous antics began entertaining audiences in 1922, when the first troupe spun off the Sunshine Sammy comedies.